Exxon has asked a small number of parties to gauge their potential interest in the company's Gulf assets, ahead of making a decision on how to proceed, according to two of the sources, adding that any sale would likely happen next year. 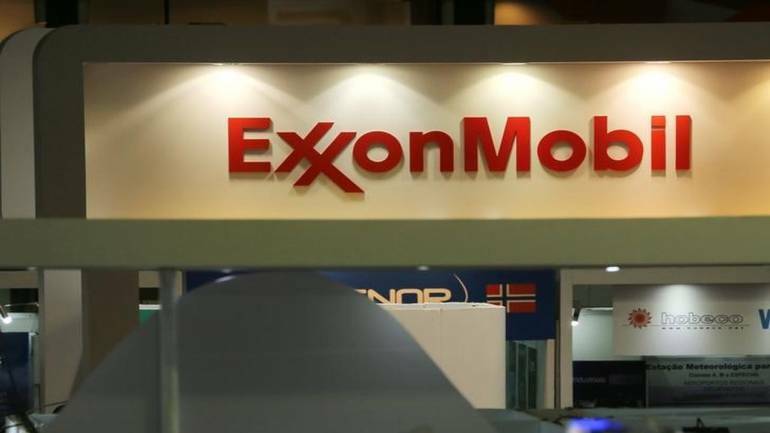 Exxon Mobil Corp is exploring the sale of many of its US Gulf of Mexico assets, as higher prices prompt the world's largest publicly traded oil company to review its portfolio, people familiar with the matter said on Tuesday. Major oil companies have been looking to concentrate development operations in a few key areas. Irving, Texas-based Exxon is focusing on promising acreage in offshore areas such as Guyana and Brazil and onshore in the Permian basin of Texas. The company is considering selling deepwater assets in the Gulf of Mexico that currently produce about 50,000 barrels per day of oil, one of the sources added. The company has stakes in Gulf assets that produce the equivalent of more than 200,000 barrels of oil per day and 730 million cubic feet of gas daily, according to company data. Exxon produces the equivalent of about 2.2 million barrels of oil daily. While Exxon is the most valuable publicly traded oil company, it is only the ninth-largest operator in the Gulf, trailing heavyweights like Royal Dutch Shell and BP Plc , along with smaller Gulf-focused independent oil companies like Fieldwood and Talos. The Gulf of Mexico, once considered a reliable basin for oil exploration and production, has become overshadowed by shale formations onshore and by new offshore plays like Guyana, where Exxon's giant Liza field is expected to produce 120,000 barrels per day of crude in its first phase. The sources asked not to be identified because the matter is confidential. Exxon did not immediately respond to a request for comment. Exxon's positions in the Gulf of Mexico include a 50 percent stake in development of the giant Julia oil field, and a 47 percent stake in the Hadrian South natural gas field, which it operates. The company also has a 9 percent piece of Heidelberg field and 23 percent of the Lucius oil and gas field, both of which are operated by Anadarko Petroleum Corp , according to Exxon's latest annual report. Exxon's partners in developing many of these sites could have a contractual right of first refusal on any opportunity to acquire Exxon's interest, one of the sources said. Exxon has sold 29 leases or stakes in leases to other companies since 2014, according to data from the US Bureau of Ocean Energy Management. The company has not acquired any leases from other companies in that period. In the last 10 federal lease sales of oil acreage, Exxon has bid on 28 leases, compared with rivals like BP, which has bid on 52 leases. Exxon shares were up 0.7 percent to $86.42 each on Tuesday. Shares have risen 6.5 percent this year, trailing broader equity averages. Qatar, which has a number of partnerships with Exxon, including in Brazil, would be well positioned to make an offer for the Gulf of Mexico assets, the sources said. Exxon has an extensive partnership with Qatar, including partnering with Qatar Petroleum [QATPE.UL] to develop the world's largest non-associated natural gas field off that country's coast. Qatar Petroleum also bought a 30 percent stake in two of Exxon's affiliates in Argentina in June, giving Qatar access to oil and gas shale assets in the Latin American country. Qatar Petroleum's chief executive told Reuters in May that the company was expanding its upstream business and assets abroad, particularly in the United States. Qatar Petroleum is the majority owner of the Golden Pass LNG terminal in Texas, with Exxon and ConocoPhillips holding smaller stakes. It could not be established whether Qatar will indeed make an offer. Qatar government officials did not immediately respond to requests for comment. This week, Chevron Corp agreed to sell its North Sea holdings off the shore of Britain.